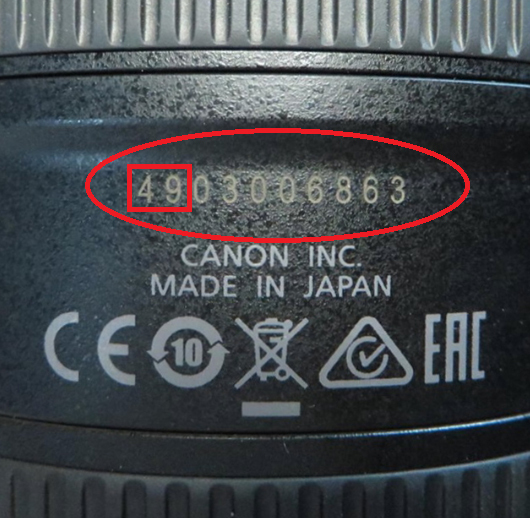 If the first two digits in the serial number (see the image below) of your lens are "48", "49", "50" or "51", then your lens MAY POSSIBLY be affected. Click the search button below to display the serial number input screen. Input your lens’ serial number (10 digits) and then click the [Submit] button. *Please double check the serial number you entered before you click the [Submit] button. One of the following three messages will be displayed. "Your lens is NOT an affected product"
"Your lens is an affected product"